This boldly decorative apartment complex at 40 West 116th Street between Fifth and Lenox Avenues is known as the Kalahari. 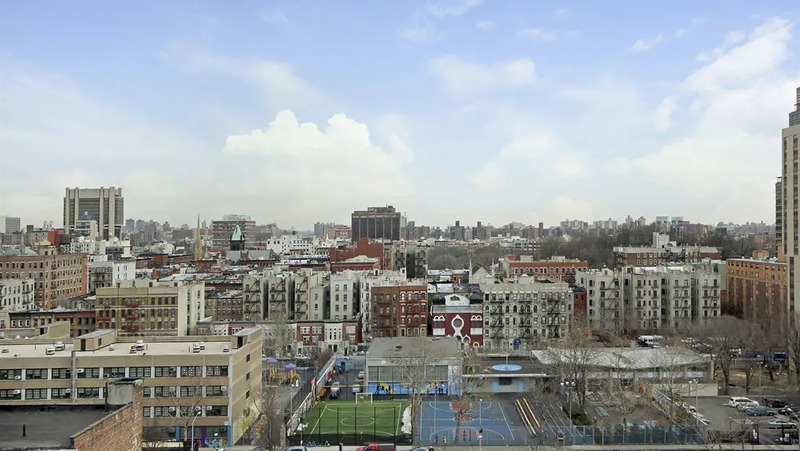 The mixed-use, mixed-income condominium complex extends through the block to 115th Street and consists of two 12-story high buildings, the longer of which is on 116th Street. 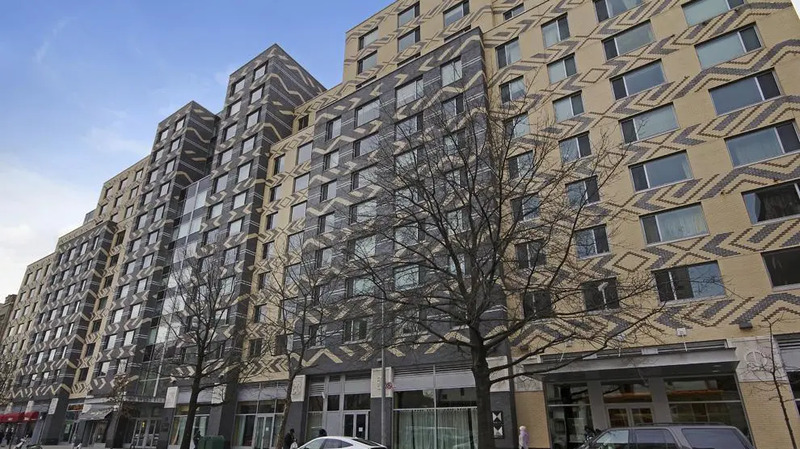 The building has 148 apartments in Tower A on 116th Street and 101 units in Tower B on 115th Street. The site has a large, landscaped central courtyard, a doorman and concierge service, attended parking, a roof deck, a gym, community meeting rooms, and retail space. 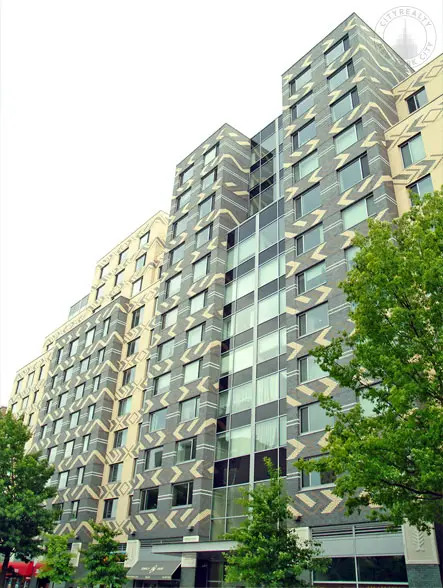 129 apartments are "market rate with no income or asset restrictions and 120 are "affordable" and include 14 studios, 23 one-bedrooms, 70 two-bedrooms and 13 three-bedrooms. Of the 120 affordable units, 48 will be sold to eligible purchases with household incomes not exceeding 90 percent of area median income, 42 units to purchasers with household incomes not exceeding 130 percent of area median income and 30 percent to households with incomes not exceeding 185 percent of area median income. The subsidized sale price of the affordable units range from about $125,000 to $485,000 and cash assets need for the required 5 percent down payment are expected to range from $6,250 to $24,250. FSLM Associates LLC, of which L &M Equity Participants, Ltd., and Full Spectrum are the principals, is the developer. Ron Moelis and Sanford Carl Loewentheil are partners in L & M Equity Participants. 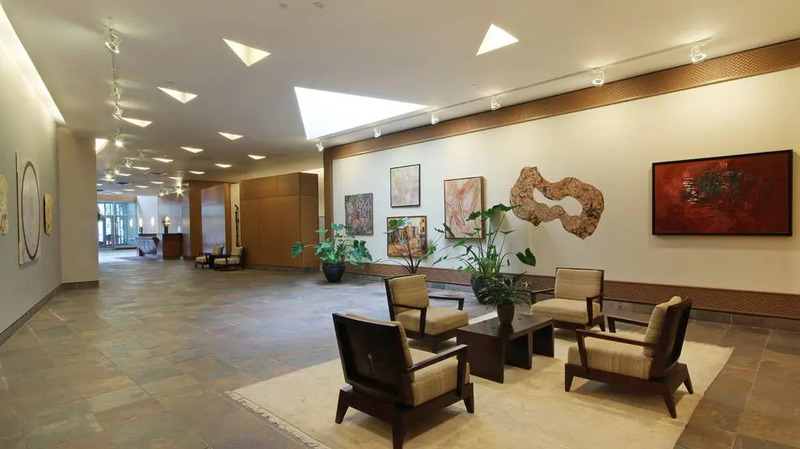 GF55 Partners LLP, of which David E. Gross, Leonard Fusco and Shay Alster are principals, is the executive architect; Schwartz Architects is the design architect; and Studio JTA, of which Jack Travis is a principal, is the consultant architect. "Outwardly facing the neighborhood, the street elevations are inspired by nomadic and tribal cultures of Africa. The Kalahari Desert is home to the Bushmen tribal group, individuals who have adapted and survived under the harsh conditions of migratory life for several centuries. This group and the characteristics of this desert region provided spiritual inspiration and directly reflect the cultural aspirations of our design. The bold use of color, texture and pattern inspired by the ways of survival through adaptations and sense of self provides a point of departure. The 'intensity' with which one selects and uses color, texture and pattern has always been a clear and distinguishing means of definition amongst varied cultural groups. Our design takes direct influence from cultural specifics and details of the architectural aesthetic from a trilogy of tribal groups in Sub-Saharan Africa, the Ndebele of South Africa, the Ashanti of Ghana, and the nomadic Bushmen of Botswana and the Kalahari Desert. Inspired by designs of the Ndebele tribal peoples (neighbors in the south of Africa to the bushman of the Kalahari), the decorative motifs used on the 115th and 116th Street elevations embody the strong color and patterning on exterior façades of the dwellings. Adrinka symbols, found printed and woven in the cloth created by the Akan peoples of Ghana and Cote d'Ivoire, West Africa are used throughout the Kalahari, serving to fuse South African regional color and texture with West African patterning and symbolism. Black cultural specifics in the design and decorative aspects of The Kalahari (and indeed in the naming of the project) evolves from the understanding of how environmental design disciplines are closely tied to and affected by the social and behavioral patterns of the communities who inhabit them. The design concept seeks to embody 'the spirit of transformation and migration by the larger group to a better place of sustenance.'" 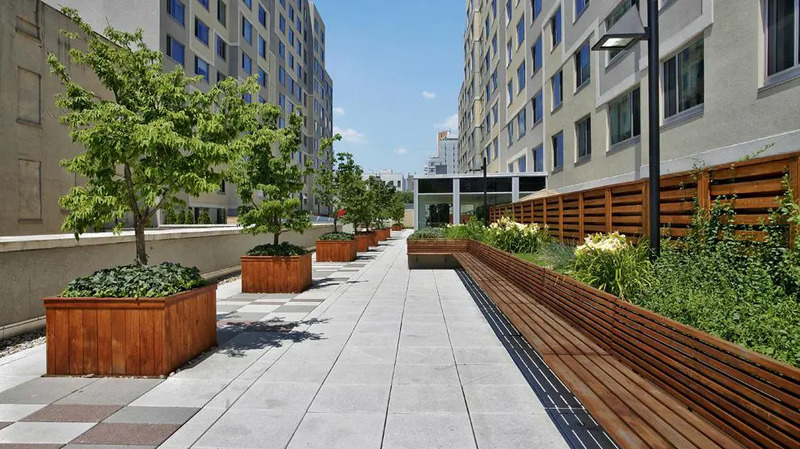 GF55 Partners designed the Madison Court Midrise and Townhouses project at 1787 Madison Avenue between 117th and 118th Streets, a project developed by L & M Equity Participants, and the Triangle Court Complex at St. Nicholas Avenue and 119th Street. 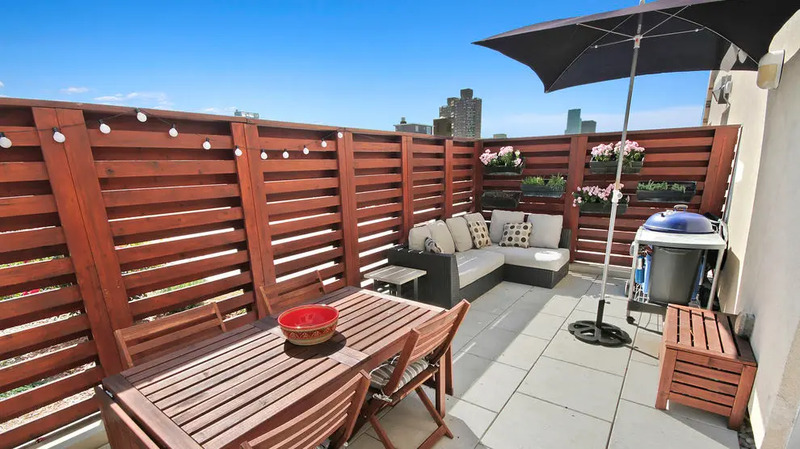 "This boldly decorative apartment complex at 40 West 116th Street between Fifth and Lenox Avenues is known as the Kalahari. "LEED certified. Concierge. Bike room, garage, fitness center, private storage. Wi-fi." "The lobby is a mix of wood and slate. 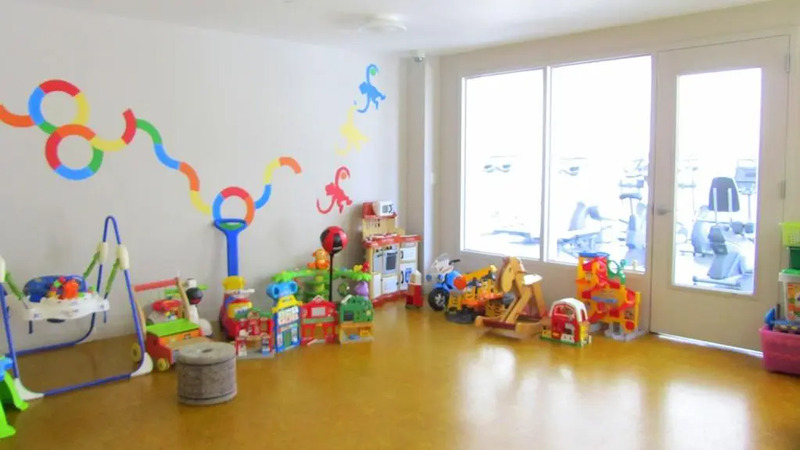 24-hour concierge, health club, music room, children's play room, on-site parking for sale and Zip Cars for rent. A private movie theatre is planned to be opened early 2008." "The Kalahari is actually two separate towers connected by a well-manicured outdoor common area. Building amenities include a Private Fitness Center, 24-hour attended lobby and great commercial space that will include an independent film theatre and cultural center." "The Kalahari is the largest "green consciousness" condominium in Harlem - an area which is predicted to lead NYC in green buildings."